With the freezing weather and crazy snowstorms, I think a lot of us can't wait till Spring Break! If we can't physically prepare at least we can mentally prepare! I mean, the mall is full of shorts and bathing suits now, regardless of how cold it is outside. So let's prep for those hot temps NOW before everything sells out. So today we are going to the tropics. A look that's trending with some of my favorite 2014 Resort Collections like Kenzo and Peter Pilotto. Not crazy about anything above? 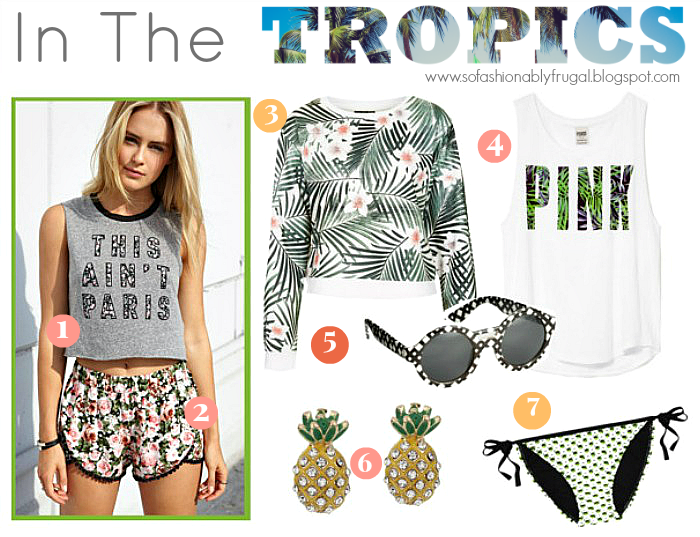 No worries..there are plenty more tropical goodies below. By the way if you haven't checked out Forever 21 in a while I highly recommend...they have some super cute stuff. I'm impressed! Have a great weekend and stay warm ;) Oh and thank you SO much to my new Bloglovin' follower!